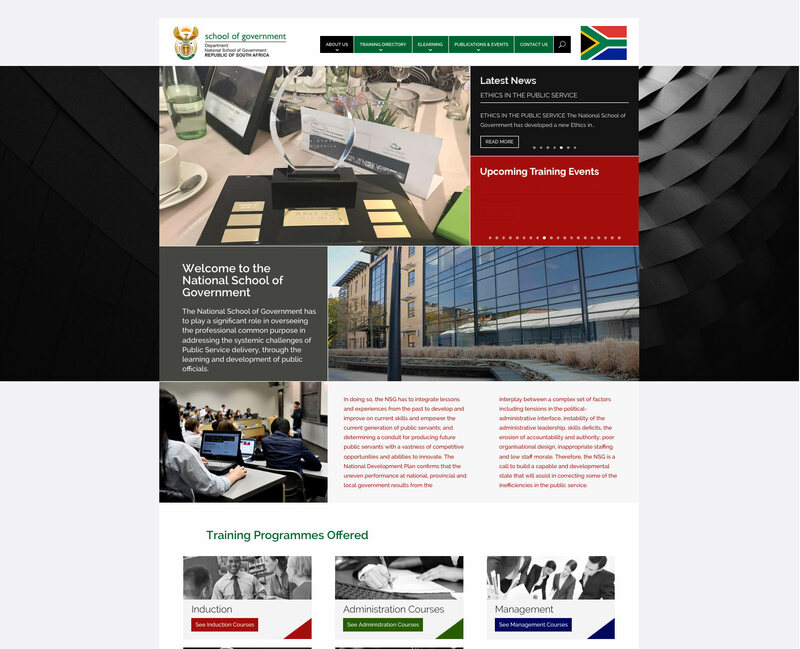 The National School of Government has a mandate from the South African government to provide training to all of the government institutions in South Africa. The NSG is in essence a training institution the required Red Cactus to design not only a new vibrant CMS website but also create custom functionality in WordPress PHP CMS to assist them in listing the massive number of training programs offered by the institution. 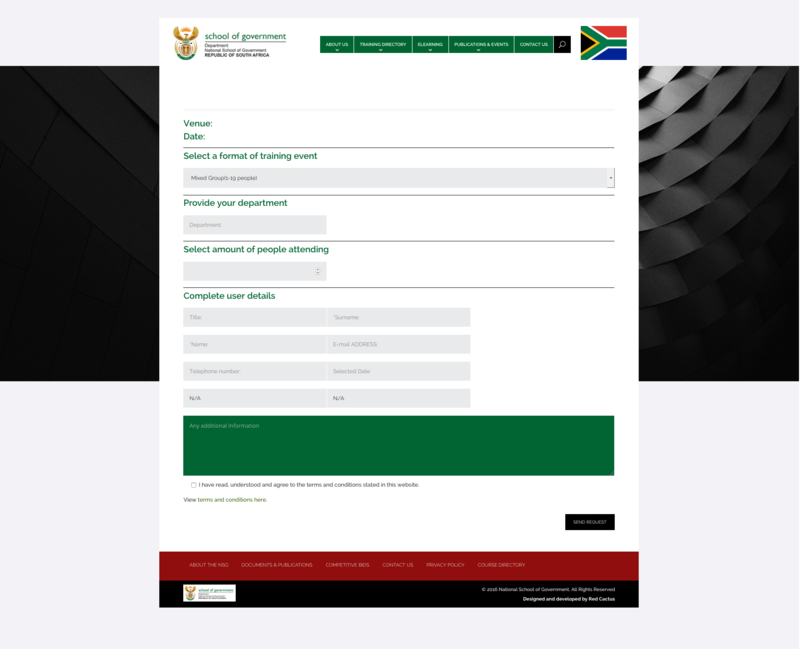 The system had to provide an online booking form with predefined dates as a calendar function. 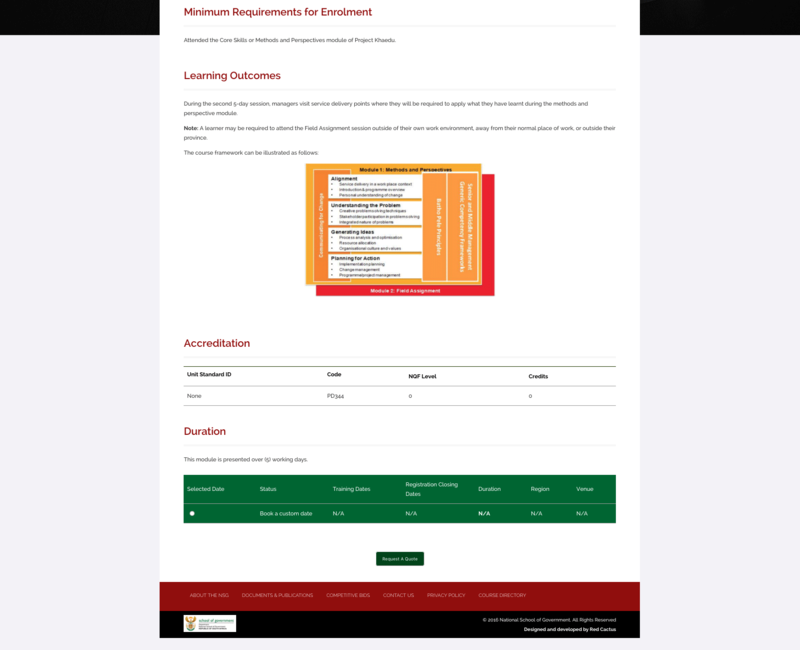 Institutions would follow the simple booking process that would allow them to start the procurement process with requirements of each training session. 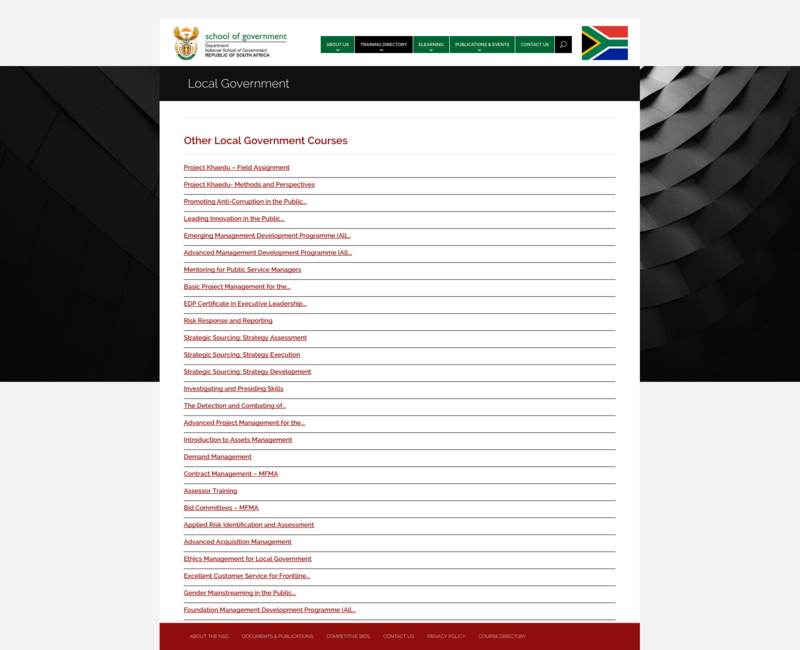 We implemented this system early 2017 and it is still running in its current form. We are also hosting this system.